Unseasonably warm weather again greeted us at Mistley, although this time the ground was much more moist and tree roots were exposed. A strong, blustery wind was blowing and caused problems with the equipment at the finish line and with tape on the course. None of the riders seemed bothered by the wind, however. 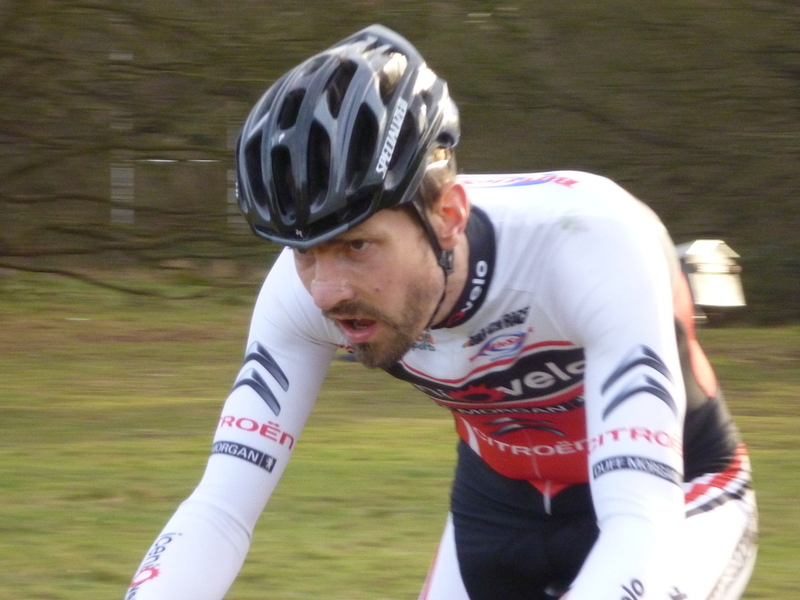 Full results are on the Elmy Cycles Eastern Cyclo-Cross League website. For riders looking at comparing their lap times with the previous leg at Mistley, this time each lap was around 1 minute longer for the seniors and 1:15 longer for the youths. Theo Doncaster (CC Ashwell) won the race, with Mitchell Powell (Chelmer CC) the fastest under-14. 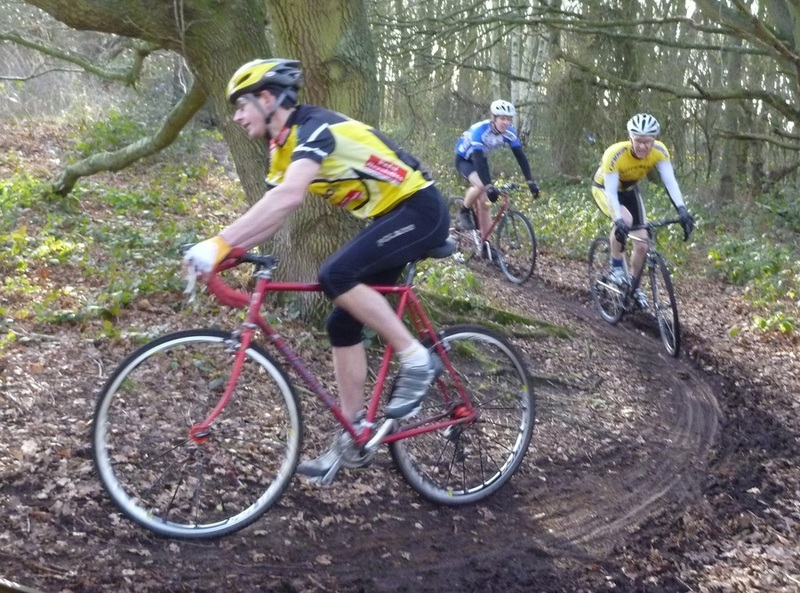 Both riders also took silver place overall in the league Youth and Under-14s competitions respectively. 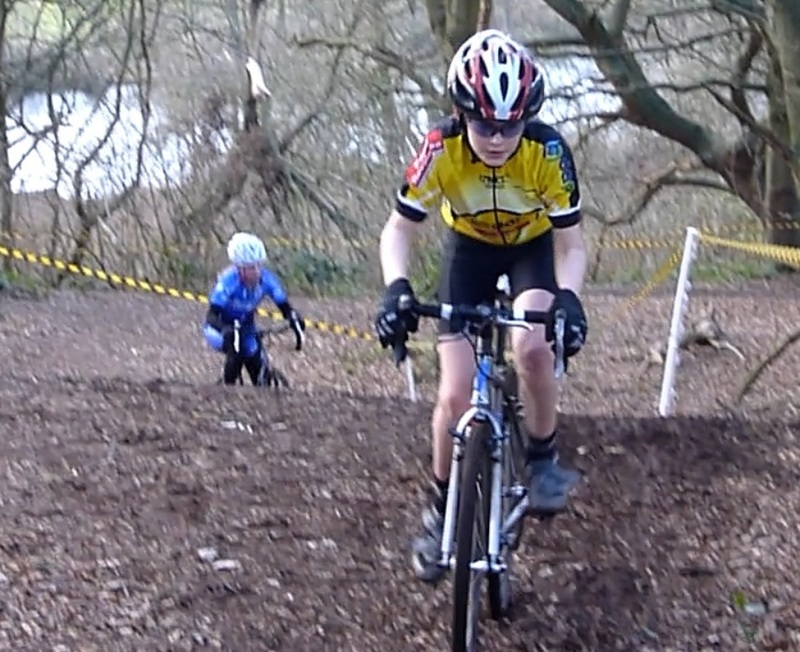 My son Dan Swindells (right) did struggle somewhat with the climbs and got held up behind an early crash, finishing 22nd in the race and 13th in the U14's league (with only 5 results to his name). 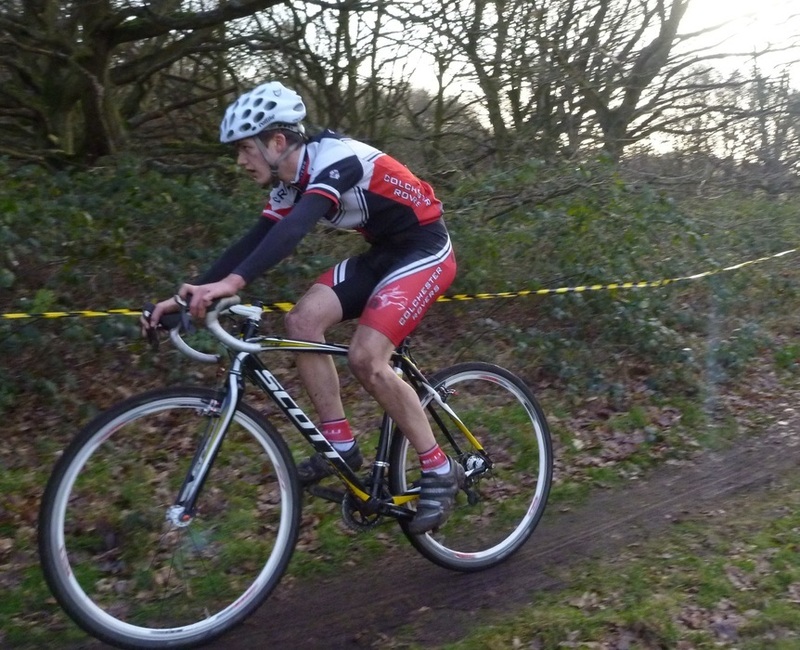 Dan's team-mate Zak Coleman finished the league in 7th place, and Matthew Baker was 10th overall. 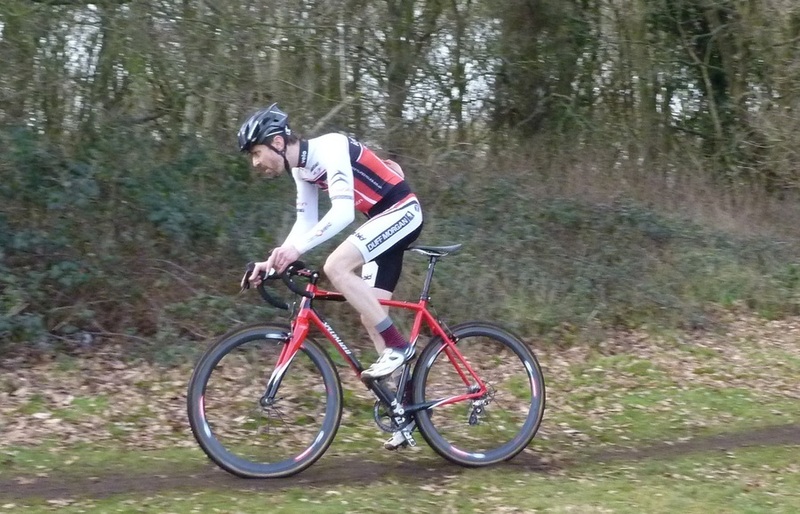 The slippery conditions caught riders out on the odd occasion, but the race ran smoothly overall. 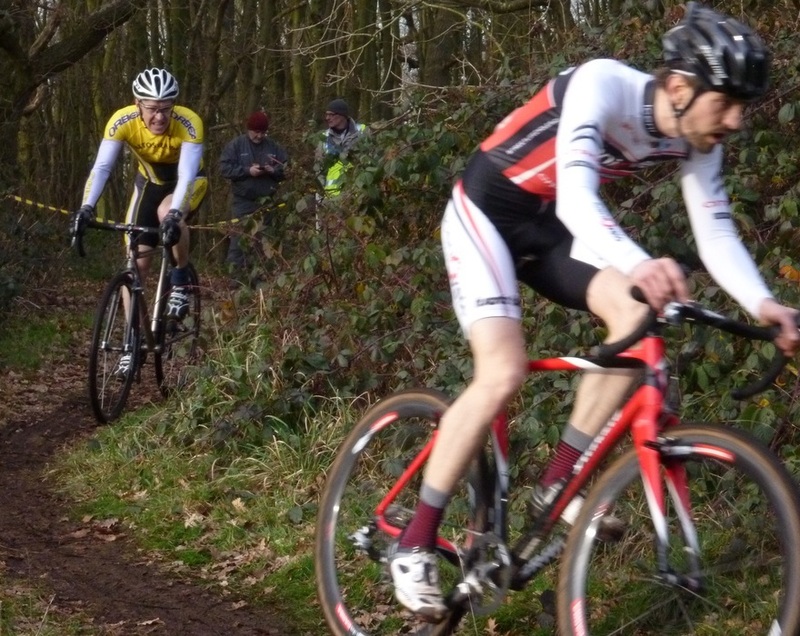 I had to abort my race after almost 4 laps because of a flat front tyre, possibly caused by my rapid descent into a bramble thicket on a tricky long descent. Andy Nichols (PCA Ciclos Uno) won the event with a huge margin, and took the time to cross the line in superman post - check out the video below! Andy also retained Gold in the League with a perfect score, and even had the luxury of a first place not counting in his top 8 results. 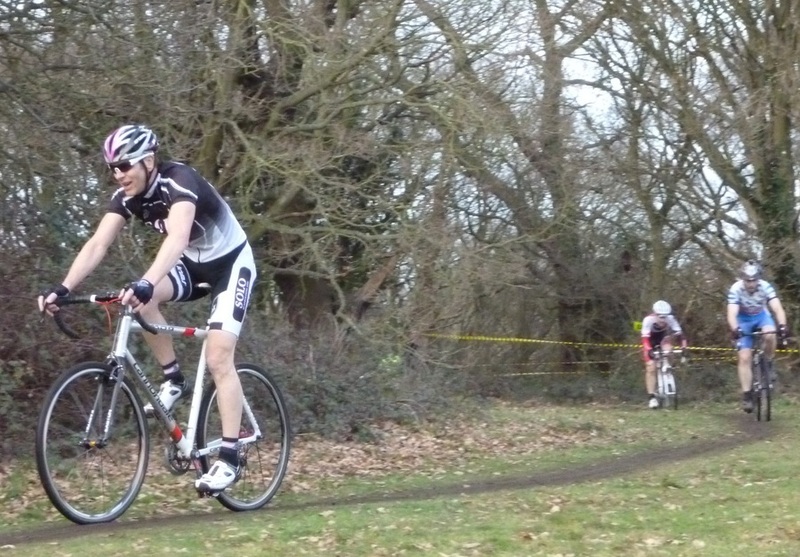 Hayden Wood (unattached) and Tim Guy (Iceni Velo) also retained their Silver and Bronze positions.